Known for his ‘swagger’ and confidence at the crease, Sir Vivian Richards was the most explosive batsmen of his era, instilling fear in bowlers wherever he played. Viv menaced bowlers with his entrance to the wicket; a long display of theatre. With the outgoing batsman long disappeared into the dressing room, he kept the bowlers waiting. Once the anticipation had filled the air like a fog, he would appear and slowly make his way to pitch, take a couple of paces forward, tap the pitch, give the bowler a decent glare, give his ever-present gum a couple of chews and take his place at the crease. Born in St John’s Antigua, with 8,540 runs he is the West Indies highest Test run scorer. He played 121 matches, scoring 24 centuries at 50.23. During the 1988/89 season he became the first West Indian to make 100 first-class hundreds. Known throughout his career as the ‘Master Blaster’ or ‘King Viv’, he will be best remembered for his dynamic and explosive hitting. He had an aggressive approach, always wanting to dominate the bowlers and put their attack on the back foot. Although often mistaken as arrogant, his strength and timing compensated for his unorthodox technique. His 84 Test sixes was a record for many years. After taking over the captaincy from Clive Lloyd in 1980, Viv led the team through its most successful era of Test cricket between 1980 and 1991 while remaining the most damaging and prolific run scorer of that period. 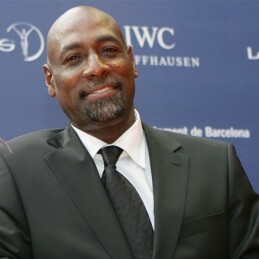 Viv was honoured with knighthood in 1994 and in 2000 was named one of five Wisden cricketers of the Century.